Flying silently through the night sky, the raven can evoke the dark destinies of fate or unparalleled wisdom. 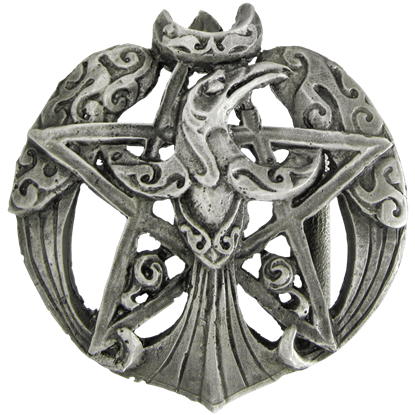 Inspired by the creature so often described in myth, the Pewter Raven Pentacle Belt Buckle features the bird at its center. 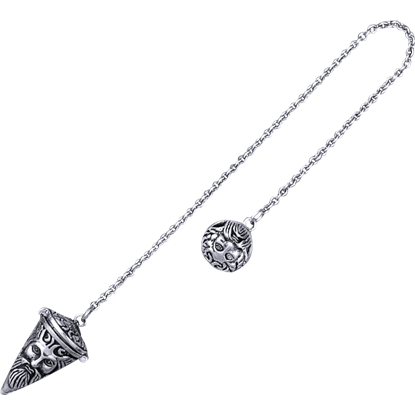 This charming item makes the perfect tool for dowsing, a traditional method of divination, or a delightful accessory! The White Bronze Celtic Heart Pendulum features the crowned heart of a Claddagh design among Celtic knotwork. This charming item makes the perfect tool for dowsing, a traditional method of divination, or a delightful accessory! The White Bronze Celtic Triskele Pendulum features a triskele surrounded by knotwork and triquetra designs. This charming item makes the perfect tool for dowsing, a traditional method of divination, or a delightful accessory! The White Bronze Green Man Pendulum features the face of this nature deity in the design of this piece. 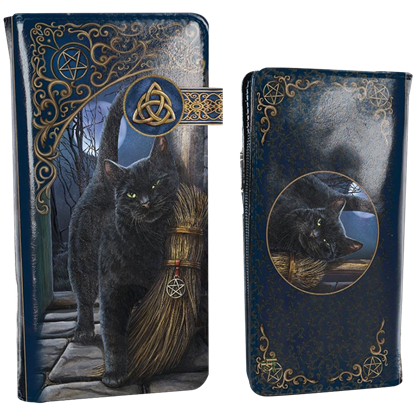 Lounging on a pile of spell books, this black cat familiar awaits the time for magic. 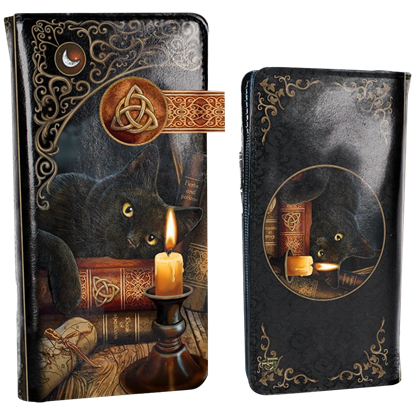 The Witching Hour Black Cat Wallet features the beautiful art of Lisa Parker all over with select embossing that makes parts of the graphic pop.